Ah! What I would give to have the housewives in my inbox get themselves engaged and worry less about running to their husband when they need anything. I have made a post about some business ideas housewives can engage in and be comfortable (check it here). Even after that, they still send messages to show their fears of running a business as a housewife. I noticed they are not really assessing their strengths well, or not giving themselves as much credit as they deserve. So, here I am with a post to encourage them and some others who may still nurse such fears. 1. Your Talents: Well, there aren’t really special talents but some things you do with ease. You can cook, bake, wash, bathe the children, drop them in school, pick them up, do the family laundry, answer calls, help out with assignment, review your husband's work or help type his notes. 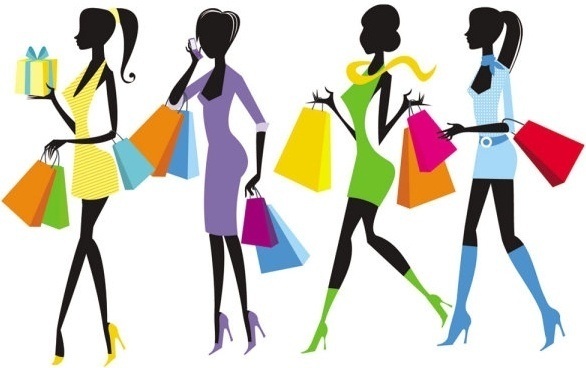 You multitask easily and schedule your shopping so it doesn't clash with other appointments, the list is endless. Do you see business opportunities in all these day to day routine you consider normal and thereby take for granted. With the right help, you can work out a business plan to take one or two of these skills and turn it into a profitable venture. Caterer, event planner, stand-in mum for all those busy mums, seamstress, editor, typist, gardener, hair dresser, dry cleaner, pastry chef, party coordinator etc are some of the jobs you can take on effortlessly. Just find your major interest and perfect it. So you are not totally without a money making skill, you only need to scale up a lot more. This is really much easier than you think and can fetch you a decent money and exposure even while doing it in your own convenience. 2. Space: Except when the children are back or on holidays, you totally have the space to yourself and it gets better if you have a larger space to work with, like an extra room or garage. The only drawback is that you don't resume as early as others and you have to also close earlier than usual, like say 9am-3pm, but within that period, you can do as much as you want with the free space. You can convert it to a work area, reception for clients or just your private corner to think. Just be sure to make good use of the space and let it fetch you something you can count on. 3. Time: This is the best advantage; you have lots of time on your hands! Some say this is not entirely true, but I believe it all depends on how well you manage it. If you can’t schedule your time well, or keep an appointment, it will be difficult to succeed as an entrepreneur. As a stay at home mom, you call your own shots, keep a flexible time and can plan ahead taking your other commitments into consideration. No deadlines to keep to, no overbearing boss breathing down your neck , late meetings, or unplanned traffic holdup eating into your time. There is also time to learn a new skill or technology, develop a new hobby, sign up for classes and follow them through. You can use your smart phones to put your business online, monitor it and keep up with latest trends. You can also take up an online job that requires no turning up at the office like graphics design, proof reading, blogging or editing (more on these in future post). 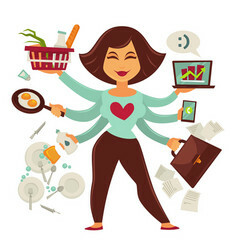 Having enough time to do your thing is one of great compensations of being a full time housewife and it would be awesome if you maximize it to make money for yourself. 4. Family Bonding: You ask how this is important to a woman building her business empire, but I assure you, it is. A full time housewife has enough time to bond well with her family, understand their needs, and monitor them closely. Fewer surprises are in store for her. For a woman to succeed in her business, she has to have her mind at peace and rest. 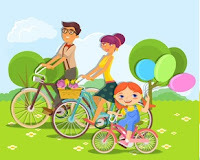 Less worries, no family turmoil, less anxiety about her children care, feeding the family or wondering who her kids are associating with, and also contributing to the family finances reduces the financial burden on the man. Family time is important and it’s usually the reason why some women prefer to work from home especially if the children are young and just growing. She can have laid down rules, time for play, food, work and all family members are assured of her love and care. And with time they would become more understanding and committed to helping the woman make a success of her business or work. Trust me, your family’s support can go a long way. 5. Socializing: A full time housewife being at home has the added benefit of relating more with her local community (traders on her street, neighbors, other parents in school or church and even housewives like her who are trying to become entrepreneurs) and attend association meetings. She can turn this to her advantage by sharing her business fliers, doing a word of mouth advert and interacting with potential clients. This is a bonus because some customers usually prefer those who they can trust and already have an interaction with. Use this opportunity to your advantage and get your business out there! Alright, I think I have exhausted my points for now! The bottom line is, you can actually run a home business and be more successful than those who own a shop! You just have to look at the positive side and make the best out of your idle time at home! Before long you would be raking in cash and your family would be grateful for the extra support. Plus, you can get to be better than those women entrepreneurs you look up to. Incase you haven’t seen it, I made a post specially for you. I wrote down amazing business ideas you can try out as a housewife and I bet it would help you begin somewhere. Click here to read Business Ideas For Housewives. Lol. That's just the fact. 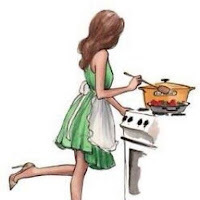 Housewives actually have more advantages than a full time business woman and the earlier they realize that and take advantage of it, they are still on a long thing. Hmmmm. My wife would really appreciate this. Thank yu very much for that. you ar my type of man. Most people balk at the idea of the heavy responsibility of making an important decision.White Label Equity Crowdfunding software for sale The weight of peoples' expectations - partners, clients, employees, family and friends, can be unnerving. Successful entrepreneurs take decisions in their stride, one at a time, and do what is best, even if it is difficult.